We are guests here on the Earth, parked in the middle of a complex environment and a diverse, intricate ecosystem that must be maintained. As the human footprint continues to increase, it’s important for businesses to consider the impact they have on the environment and to look for ways to become more Green. 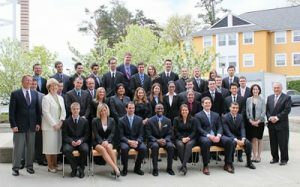 SUNY Albany’s Going Green Globally (G3) Program was created to allow local businesses the opportunity to consult with teams of MBA students for the sole purpose of implementing environmentally sustainable initiatives that not only help the environment, but also save the company money. Examples of this would be the use of photovoltaic solar panels to generate electricity for buildings, or thermal solar panels to generate the heat for an indoor pool. The YMCA was the case study client chosen by Team InnoVerde. This site details the entire engagement from start to finish, the final report, and other key marketing concepts that can be used anywhere.